Is it Monday, or is it SUN-day? 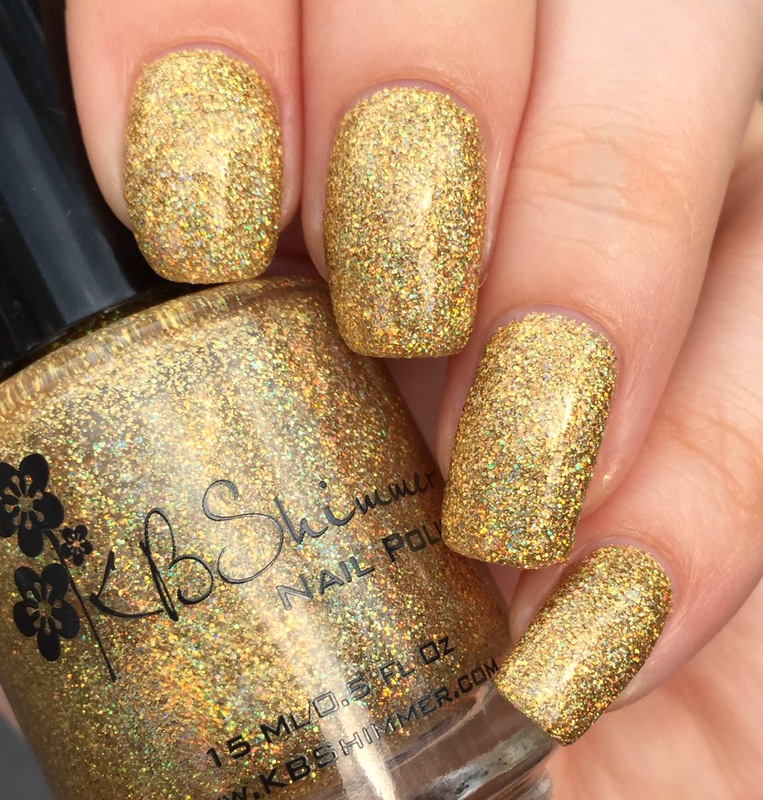 Im determined to squeeze a bit more sunshine out of this summer, and KBShimmer has just the polish to help me out. 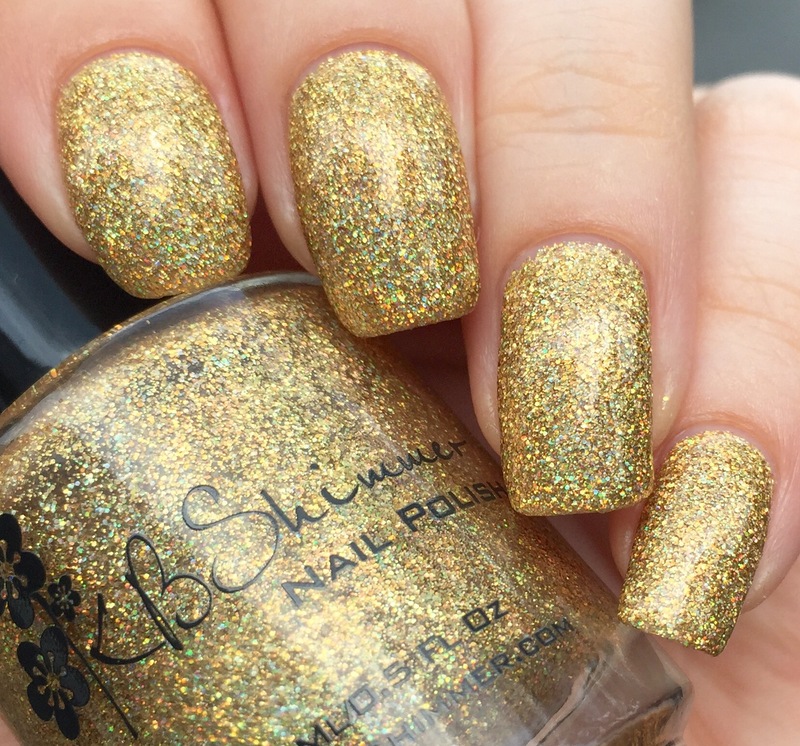 This is “Sun and Games,” a gold holo glitter that’s just radiant! 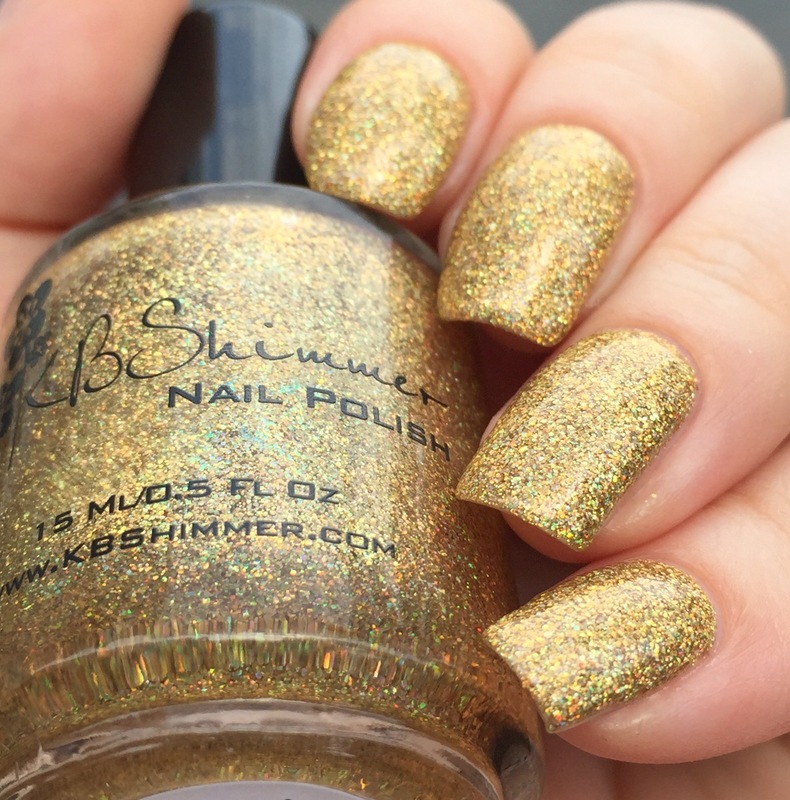 If you’d like to purchase this bad boy, you can mosey on over to KBShimmer’s snazzy website. (You might want to peer around- they have an awesome selection of colors and finishes.) If you’re looking at this and thinking “gold is fine, but I really wish this were silver,” you’re in luck! “Sun and Games” has a silver sister, “Alloy Matey!” reviewed here. I have to add that KBShimmer is one of my favorite brands to follow and buy from. Their polishes are reliable great and there’s always something in each seasonal collection that ends up being a go-to favorite. Additionally, the website is easy to navigate and always has what I’m looking for (and way more) in stock. Shipping/turnaround time is also reliably fast. This is a brand I often turn to for gifts and swaps because their price point is perfect, they’ll deliver the product on time, and I know people will love what they’re getting. OMG! 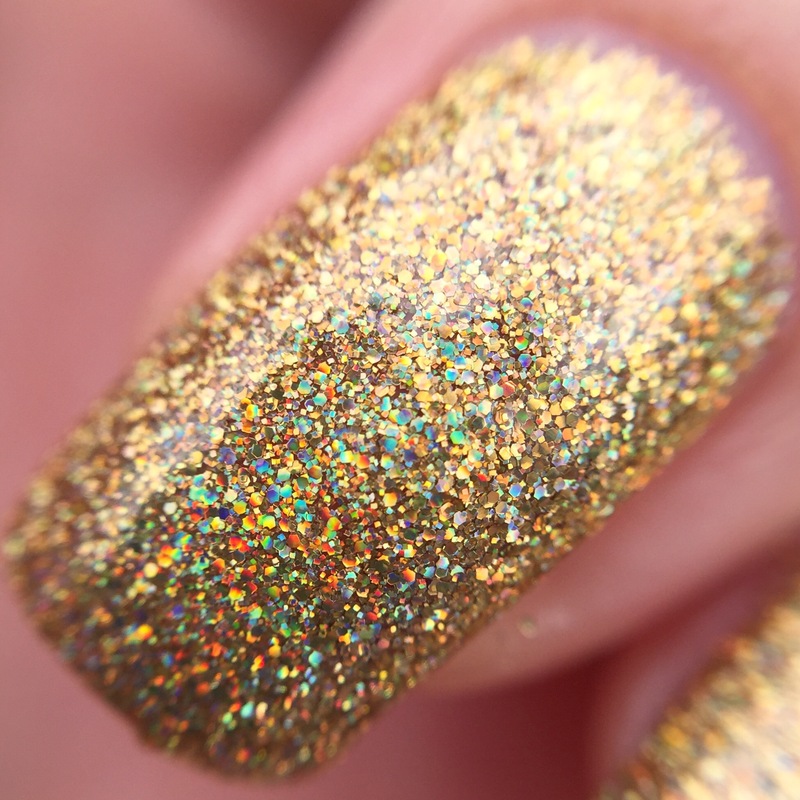 I love that macro – I had no idea how many types of holo microglitter were in this polish! LOVE that macro! Such a stunning polish! NEED NEED NEED NEED It’s been on my list since it came out. Love it. Beautiful swatches!